Resell Web Hosting with cPanel & Softaculous. Get start an online business with Linux reseller hosting packages. Our reseller hosting with WHM customized specially for web designers and web development companies to host client’s website more securely. From creation of account to termination and dns zone all is possible under one master account. Start your web hosting hosting agency or maintai your all cPanel under one account. Reseller hosting with the power of secure SSD and 1 GBPS bandwidth can give you ultra high speed for your websites as well as high ping rate. Our reseller hosting comes with Softaculous, FREE SSL, lite speed technology, WHM panel, WHMCS , Dedicated IP and much more. Choose from our cloud reseller hosting plans to get started. Why Choose SSD RESELLER HOSTING? SSD is powerfull storage access which is 5x faster than normal hard disk. Our Network is built with Solid State Drive to protect and smoothing your application much more than normal storage device can. cPanel interface gives you full control to add or remove email accounts and domain names, as well as manage your files and MySQL databases and much more.Optimize your website performance with varnish cache enabled linux shared hosting plans.Install web applications such as WordPress, Magento, Drupal, etc. with a single click. We can understand Control Panel matters in Business! The Best Reseller Cloud Hosting for Agencies. We ensure that your customer’s script runs seamlessly with our shared hosting service. Regardless of whether you need to run the most recent version of PHP or manage compatibility. We make sure you get access to the latest, most recent & the most compatible versions of PHP & MYSQL. Our cheap Reseller hosting plan is inbuilt with the Softaculous ,lite speed technology. We are always in search of best to give you everything under one roof. Included in All Packages for website, Setup your reseller web hosting with HostFurious. Servers are enabled with cloudflare networt(CDN), so we can make sure your websites performance increase dramatically. We’ll transfer all of your accounts to our servers with 0% of downtimes no matter which control panel you are using!! Reseller hosting comes with Free Domain reseller a/c, Billing portals, Merchant a/c and much more. 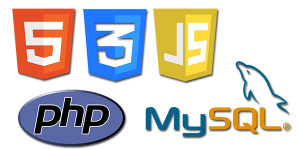 All servers are included with MySQL PHP5.5+ , CGI, Fast CGI, PHP 5, Ruby on Rails, Perl, Python, SSL also Secure FFMPEG. 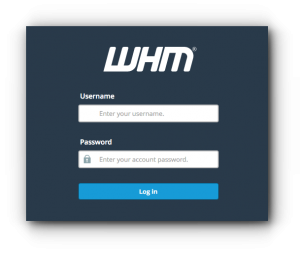 Every Reseller have his own white labeled WHM, Private name servers intregated with Domain.Creation of accounts is as easy as 1,2,3! Upgrade your hosting anytime with VPS or Dedicated with out Data loss or downtime.You control the overall resource allocation to best fit your client’s needs. 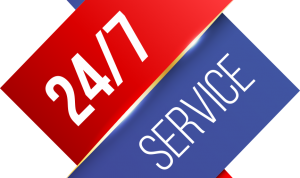 We are confident you will be happy, and even offer you a full 7 days money back guarantee(For web hosting) to try us out If you are not completely satisfied with our web hosting services. Linux vs Windows Reseller Hosting? Can I make money with reseller? Yes, that’s definitely the idea! Reseller hosting is designed for you to make money. You get to promote your own brand, receive ongoing income from your customers, and bundle hosting with other services you offer. WHMCS is a comprehensive client management and billing software that we include for free with all HostGator reseller plans.